Finland’s Hard Rocking BARBE-Q-BARBIES will release their as yet untitled fourth album via the Dissonance label on May 10th 2019. 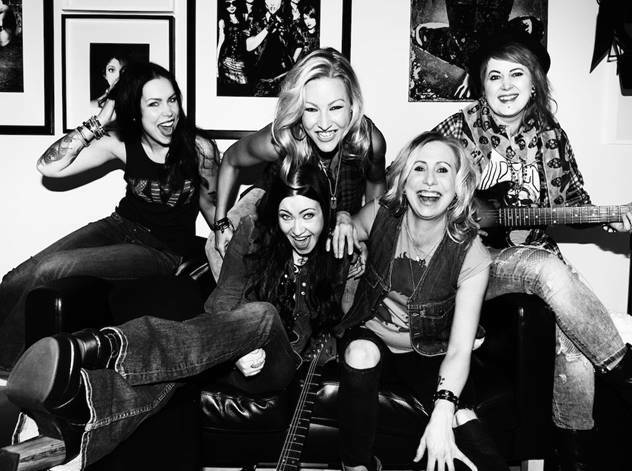 Their last album “DRIVEN” is full of licks and hits harking back to the glory years of AC/DC, QOTSA, KISS, and MOTÖRHEAD, but with an added fuel injection of Helsinki attitude and femme fatale vocals that’ll blow your mind. With this, the BARBIES have simultaneously created their own style and revitalized the genre. The new album is no departure from the bands roots but has a new youthful injection with new guitarist Heidi Meri. The new album has nine high octane rock n roll classics. The Barbs are back!